We hold some items in stock but others are remanufactured to order, with a lead time of about two – four weeks. Please enquire for details. Prices may vary from those shown – the prices shown below are the most up to date. Remember: please allow 28 days or more for delivery. 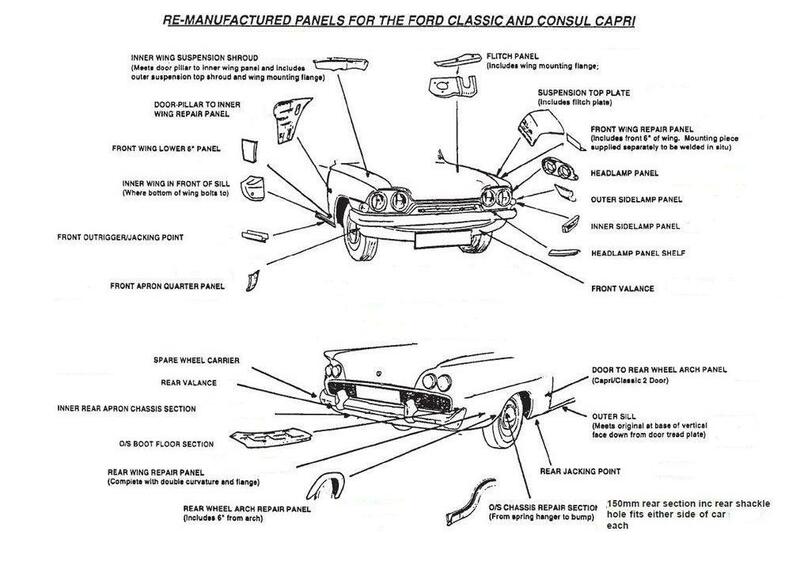 Disclaimer: The Ford Classic & Capri Owners Club cannot be held liable for any costs, labour or otherwise, which may be incurred from the fitting of the above parts, including re-manufactured panels.